When you choose to love someone, you agree to take on all of their baggage, knowingly or not. The day Campbell chose to love Donovan was the day she took on the voice of ghost in his head, a domineering and ever present grandmother in his ear and a life time of watching his father just exist. Indeed, Campbell took on much more than she knew. Growing up, Campbell watched her father cheat on and leave his wife for another family. As a teen mother, Campbell watched her daughter's father leave her. As an adult, Campbell watched her best friend give herself away because the man she loved didn't love her enough. With all those factors working against her, it would be easy to write off men, to write off love altogether. Yet Campbell still believes in love and, though she's hesitant to seek it for herself, she's willing to take a chance. Donovan had no business looking for love. In all fairness, it feels like he knew that, but then he met Campbell and, for a time, logic and reasoning escaped him. Everyone is entitled to love, but Donovan had things in his past he needed to work through before bringing anyone else into the picture. Having been loved the wrong way in the past and the present, it's no wonder that he doesn't know how to accept being loved well and right. Though both Donovan and Campbell come from "broken homes," Donovan's demons are more difficult to overcome. In great part, it's because he's faced with one of them daily. We often hear or experience mothers raising their daughters and loving their sons. 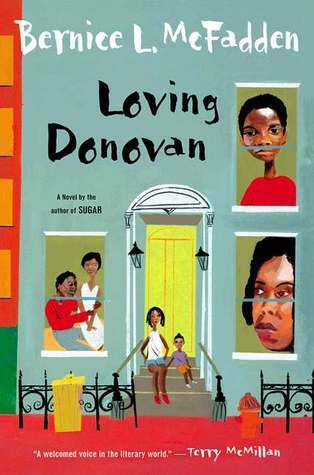 One of Donovan's biggest problems is that he's been raised by a weak father and an overbearing grandmother. Shrouded in her love for Donovan is a need to keep him broken down enough to stay with her and, should he find the strength to leave, playing on his insecurities and fears enough to make him stay. I find fault with Solomon, Donovan's father, as well, because its his weakness and his mother's forked tongue that is to blame for the demise of his marriage to Daisy and drives him and the young Donovan back to his mother's home. The underlying reason for Grammy keeping first Solomon and then Donovan so close to her is selfishness and her fear of being left. Being domineering and demeaning drove her husband away, but that's not enough to make her change her ways. Instead, she directs her attention at Solomon, at first building him up, only to break him down later when he dares to love Daisy. And when Donovan dares to love Campbell, she steps in and begins to slowly whittle away at the confidence that Campbell's love has given Donovan, planting seeds of doubt. I've spent this year going back and listening to McFadden works that I've previously read. I've heard and learned something new from each book by listening that I didn't get from reading and Loving Donovan is no exception. Perhaps it's because there's a tendency to skim pages when reading that you can't do when listening. However you choose to, you absolutely must give McFadden's works a try.